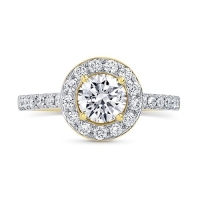 What are the Five Factors of Diamond Clarity Grading? Lab-created diamonds are more affordable, sustainable, and ethical than mined natural diamonds. If you were to put a lab-created diamond next to a natural one, it would be nearly impossible to tell the difference with the naked eye. 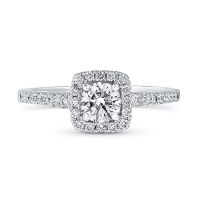 But when it comes to assessing a lab-created diamond’s clarity, ranges can be subjective. 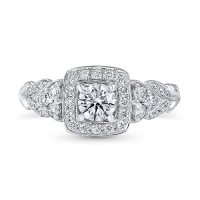 A gemologist's or a diamond grader’s assessment can vary, but the tools and the categories for assessing any given diamond’s clarity are the same. 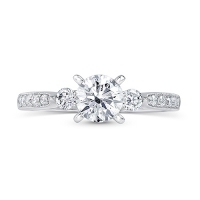 So, what are the five factors in diamond clarity grading? We’ll explore below. How is a diamond assessed? 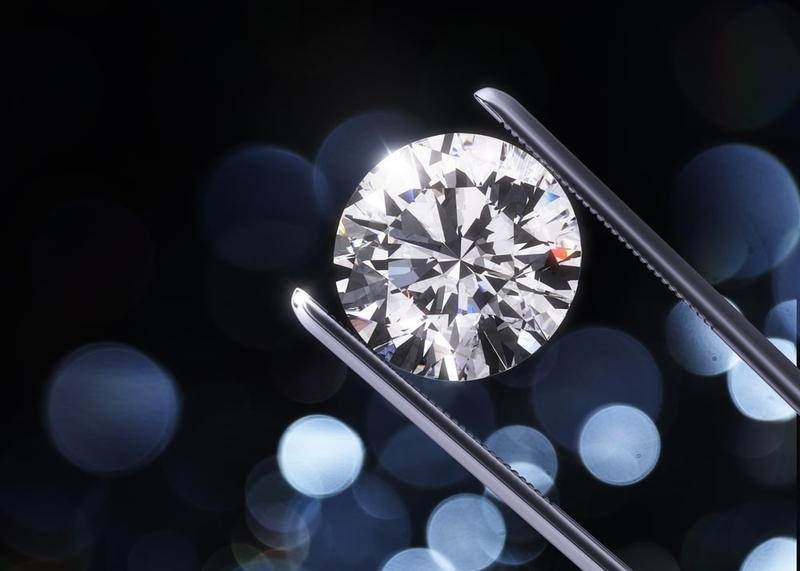 To accurately assess a stone’s clarity, a gemologist will use advanced grading tools found in a diamond grading laboratory like IGL, GIA, and GCAL. The grader will need superior magnification and proper lighting to assess the gem’s clarity. 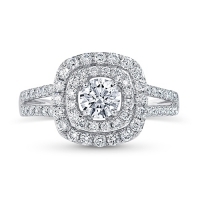 Also, several pairs of eyes will need to check out the diamond and come to a consensus to get the most accurate grade. Also, stones must be unmounted or loose and looked at under ten power magnification. If a grader doesn’t have the right tools or the proper environment, the grading will be compromised, and it will be hard to find and assess any internal inclusions or external blemishes. 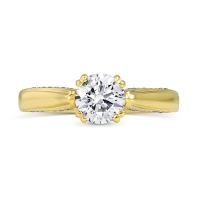 The five factors of diamond clarity grading will vary for every diamond. Here, the gemologist will take note of an inclusion’s position. Is it under the table? In which case it can be more easily seen than if the girdle hid the inclusion. Nature refers to the type of inclusion, whether it is internal or external. Larger inclusions will lower the diamond’s clarity grade. More inclusions mean a lower clarity grade. But the type of inclusion and how easy it is to see will also affect the final clarity grade. An inclusion that differs in color from the surrounding stone is easier to see than blemishes that are white. Colored reliefs will lower a stone’s final clarity grade. VVS1 and VVS2 - the stone has small inclusions that are only visible at 10X the magnification. VS1 and VS2 - pinpoints and blemishes are easier to see face up, but few of these diamonds contain inclusions that are visible to the naked eye. SI1 and SI2- these stones contain inclusions that are easy to see at 10X magnification, and usually possess clouds, feathers, and included crystals. 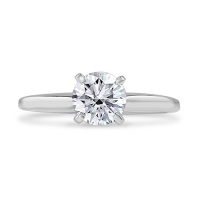 I1, I2, and I3 - these stones contain visible inclusions and blemishes that are visible to the naked eye. In many cases, these stones are considered industrial grade. Grading a diamond is somewhat of a science when you include the advanced tools, lighting, and magnification needs of the process. But, diamond clarity grading is also an art and can be subjective based on the opinions of the group of gemologists who’ve graded the stone. Also, the skill, education, experience, and tools that the grader possesses will also influence the diamond’s final clarity grade. 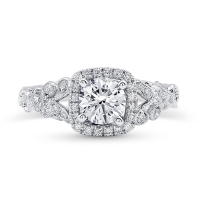 An experienced diamond grader should ask how much the grade setting characteristic impacts the overall appearance of the stone.